Scotland begin their bid to reach the World Cup for the first time on Thursday, after their first experience at the Euros in the summer. Scotland will take on Belarus away tomorrow (4pm ko) in their first game of their group which also contains Switzerland, Poland and Albania, reports scottishfa.co.uk. 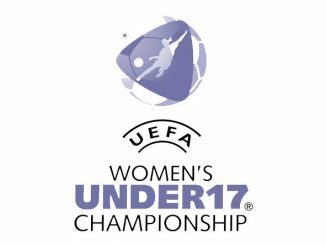 The match will be Shelley Kerr’s first competitive game in charge of the squad who defeated Hungary 3-0 last month in Budapest. They will then play Albania at home on Tuesday 24 August at the Paisley 2021 Stadium with FREE entry for all supporters. Hibernian goalkeeper Jenna Fife is included in the squad for the first time with fellow club mate Lucy Graham also called up for the second successive squad. Rachael Small has been ruled out and is replaced by Frankie Brown. 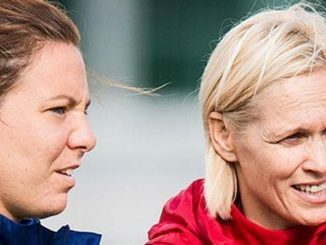 After missing out on Euro 2017 through injury, Jenny Beattie and Emma Mitchell are back involved. Mitchell has started the season promisingly and scored three goals for Arsenal. Scotland played Belarus in the last qualification campaign and defeated them 7-0 at Fir Park in October 2015. 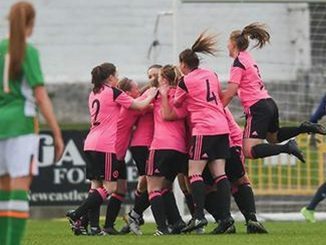 In the second match at FC Minsk in June last year, Scotland were up against it at times but ground out a 1-0 win with Jo Love the goalscorer. Shelley Kerr: “I can’t wait for the game. We are in a good position in terms of the squad and it’ll be tough to pick the team. “I’ve had six months preparing for this game since the World Cup draw so it’s been a long coming but that time has given the coaching staff a lot of time to watch our opponents and look at different game plans. “It’s great to have a few players back from injury to provide added competition. We want to be in a position where competition is fierce and nobody ever turns up to camp assuming they’ll play which makes you better as a team. “Belarus are a tough side to play against as they showed last year. They’ve climbed two ranking places and have key individuals who could hurt us if we don’t play to our potential. Erin Cuthbert: “We’ve had experience of a major championship and now we want more. “We’ve got players in this team who have bags of ability and we are more than capable of qualifying for the World Cup. “I made my debut in Minsk last year and it was special. A year and a half on, I’ve achieved more than I could have imagined possible. “I’ve kicked on from that first game for Scotland and played a lot of games since then. “The higher level you play the more pressure comes with that and I think being in a full-time environment has really brought my game on. I’ve become a better person on and off the pitch and that’s affected my game in a big way. “Playing with world class players day in day out and at international level brings a lot of pressure but I relish it.